Tooth loss is not something anyone should have to live with. However, for any number of reasons people may lose a tooth or many teeth. Our job is to ensure that those missing teeth are replaced. Complete dentures (if all teeth are missing) or partial dentures (if a few teeth are missing) are still very good options for those who wish to restore many missing teeth at a very reasonable price. Call our Lemont office today to learn more about our denture offers. Traditionally a partial denture is made with a metal subframe for added strength but today we have more options. 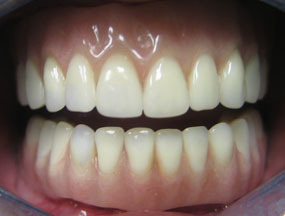 We can fabricate metal-free partial dentures for a more esthetic result. When it comes to dentures we offer a menu of choices with tooth shape, tooth color, gum shade and material. Our goal is to make sure you are happy with your teeth replacement every step of the way. With the advent of implants, we can now offer implant supported dentures as well. These dentures eliminate the common problems associated with dentures, such as: looseness, clicking, and inability to chew harder foods. With an implant supported denture you can chew foods like steak and corn with ease once again. Also, an implant supported denture is far more affordable then replacing every tooth with implants. 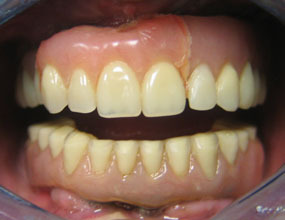 We can achieve good denture stability with the placement of 2-4 implants. Consult with trusted Lemont dentist Dr. Mohajir today to know more about our services.